WEST PALM BEACH, Fla. — A young dog is on the mend receiving emergency care after being dumped on the side of a road in West Palm Beach. The dog had no collar and no tags, and she nearly died. 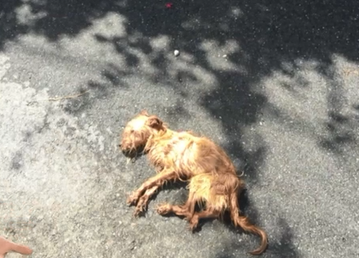 She was found dehydrated, her hair matted and severely underweight. "The crate was right in here with the little flap popped open," said Chuck Kendrick, as he pointed to the bushes. Kendrick was leaving his home to run errands Tuesday when he made the disturbing discovery. "I didn't think she was going to make it, and I kept telling her just hang on," Kendrick said. In the middle of the alley behind 33rd Street in Old Northwood, Kendrick found the dog dumped and left for dead. The pink crate was only a few feet away. Kendrick took a picture of the dog, called his neighbor for advice, and then rushed her to an emergency vet. The dog made it through the night and is still fighting to survive. Kendrick went to check on her Wednesday morning. "It's just one of the most emotional things you can go through, trying to understand how someone could have such little respect for life of any type," Kendrick said. Once word spread, the Old Northwood Neighborhood Association banded together and started a fundraising page. It was posted on social media, and people donated more than $3,200 in less than five hours to cover the vet bills. "We're going to turn a really wrong into a right, and it shows you people care, people come together when you need it," said Matt Chambers, who created the fundraising page. Palm Beach County Animal Care and Control is reminding pet owners if you can't take care of your animal there are options out there, and bring it to a shelter. 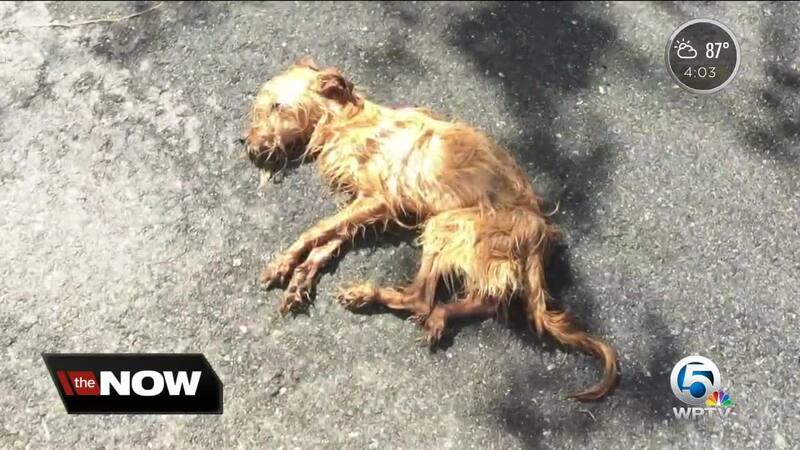 "There's really no excuse to abandon an animal. You need to come forward, you need to turn it in and do the right thing and allow somebody else to care for that animal if you're not able to do so," said Capt. David Walesky, Animal Care and Control. Several homeowners in Old Northwood are now scanning through their surveillance cameras hoping to catch a clue to identify the person responsible. There are also multiple requests to adopt the dog and give her a happy home. "I'm sure she was within hours, if not minutes, of her life just being gone, and now she has a chance and a new opportunity," Kendrick said.